Last week I shared my recipe for a sweeter version of butternut squash soup. If that’s your kind of thing, feel free to click, read, and return. This article will still be here when you come back. 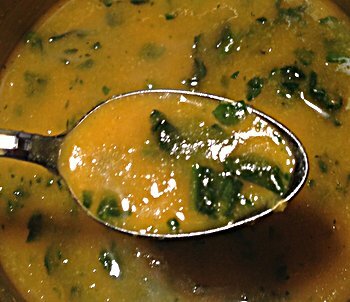 For those of you who prefer a more traditional soup, one that is savory, this is the recipe for you! 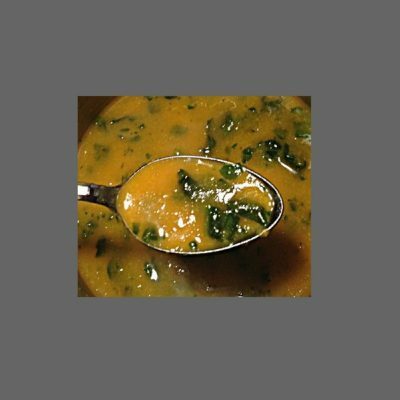 This soup recipe still is quite simple and another great way to use some of the butternut squash you have on hand. Served a a lunch entrée or a dinner course, this soup is delicious, hearty, and healthy. It definitely is an easy way to get some more veggies into your diet. Dissolve bouillon cube in water. Pour broth and squash into blender. Purée until smooth. Transfer mixture to a small saucepot. Add spinach and garlic powder. Stir well. Cook over medium heat until heated thoroughly.